One of the biggest names in filtered water, Brita exports its products to more than 60 markets worldwide, and has manufacturing plants in the UK, Switzerland and India, as well as its home base in Taunusstein, Germany. 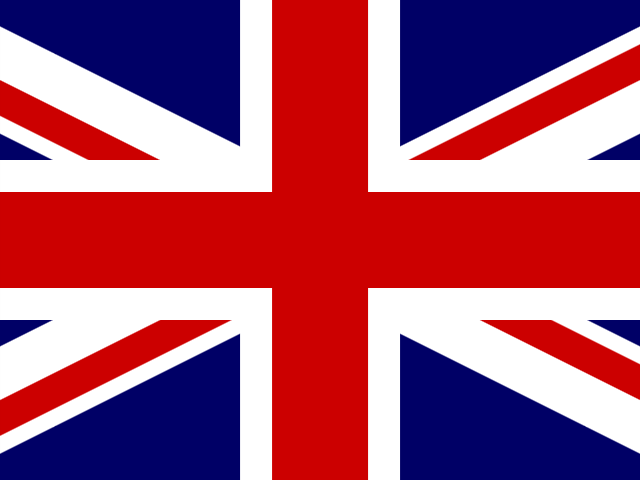 So it wasn't a surprise that Brita had thought ahead when planning their UK manufacturing location in Bicester, Oxfordshire, and designed the building so a further structural steel mezzanine level could be added when required. 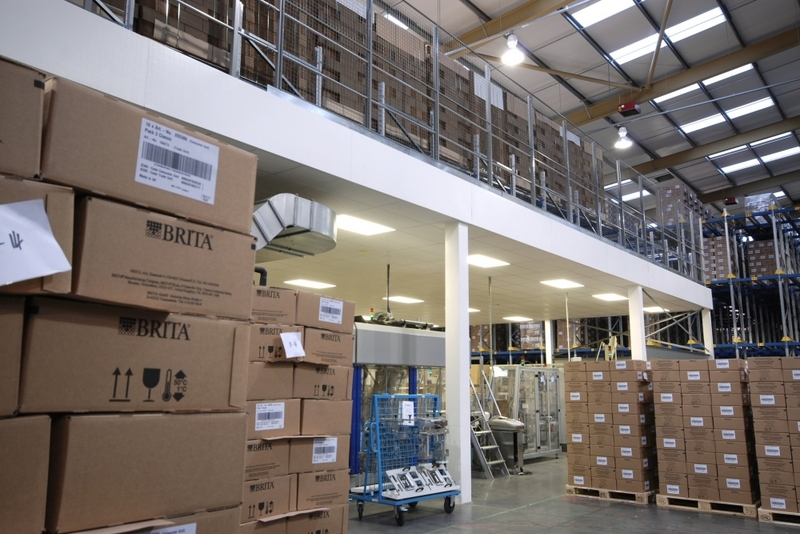 When Brita asked us to design and build a new mezzanine level, they knew their practical requirements would be met. There were a number of problems we needed to solve when designing the 40m x 16m mezzanine storage structure. To start with, it was to be built over an existing, congested, production area and control room, with limited supporting column positions available. A number of columns also had to be positioned on existing strengthened foundations, resulting in a large column grid of up to 7.6m x 7.6m. 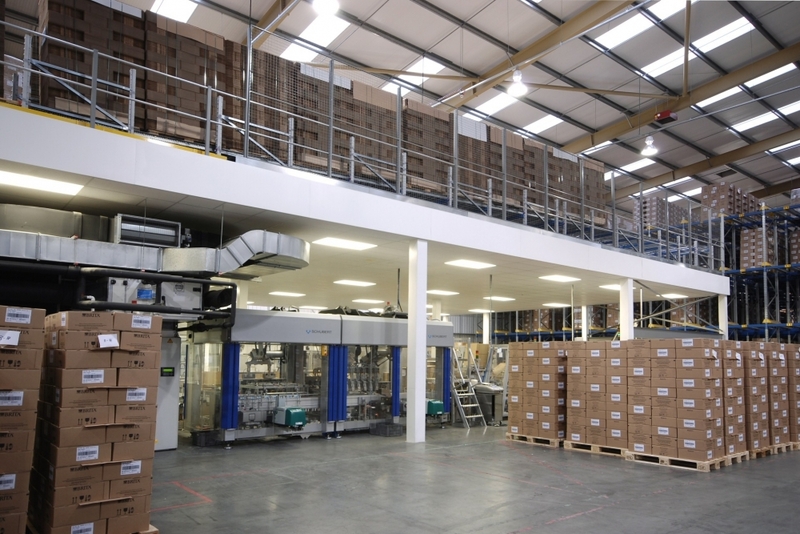 The column grid, the 4.65m finished floor level and the high superimposed load, emanating from palletised goods stored on gravity feed racks, block stacked pallets of 1750kg and loads occasioned by the use of a powered pallet truck on the mezzanine level, all dictated the structural design. We also needed to ensure correct connection of the mezzanine's structural beam were made to the existing building columns (allowed for in the building's design) along one face of the structure. And finally, had to source suitable, proven, decking material. Diesel powered cranes were prohibited on the site. We had to erect scaffolding along the southern grid line position of the mezzanine to enable safe working. We needed to place the steelwork into position without damaging the surrounding manufacturing equipment. While our in-house team of design engineers ensured that a satisfactory design solution for the structure was established, we asked our long-standing German associate, Dipl.-Ing. Jürgen Nieswand, to locate and supply suitable particle board decking material. The decking needed to be able to accept the loads to be imposed on it, without necessitating the use of an additional steel sheet overlay. The solution was Kucospan 'H' board, tongued and grooved to all four sides. "We were impressed by Mezzanine's professionalism throughout our dealings with them. The fact that the installation went well, within a tight timescale over Christmas, speaks volumes for the cooperation that we received from every Mezzanine employee with whom we had contact. As a result we had no hesitation in recommending them to our parent company." We were later awarded a further contract to design, supply and install a mezzanine floor at Brita's base in Taunusstein. "We're immensely proud of the many certifications and awards we've earned such as ISO 9001. All of our achievements demonstrate our continued commitment to ensuring the highest possible quality, health & safety and environmental standards on all the projects we undertake internationally. 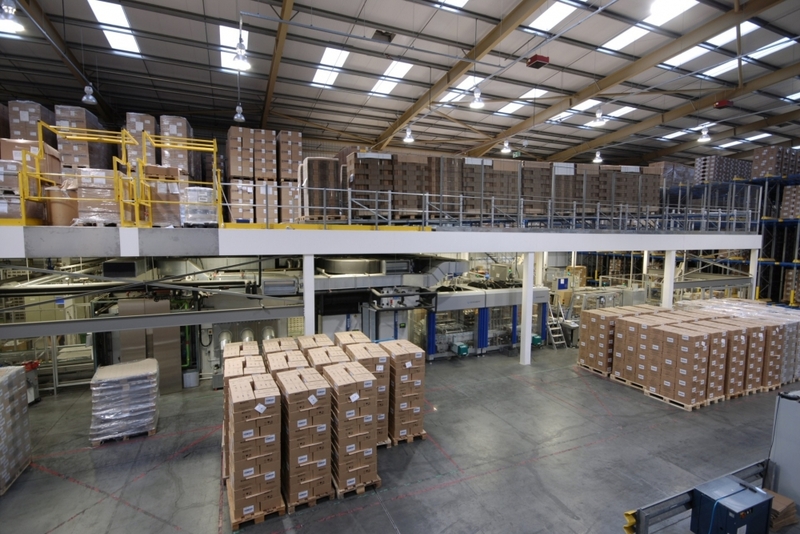 Our clients recognise our investment in improving our company's processes and practices, and the tangible benefits they gain as high quality mezzanine flooring installations that are built on time at a significant cost saving."